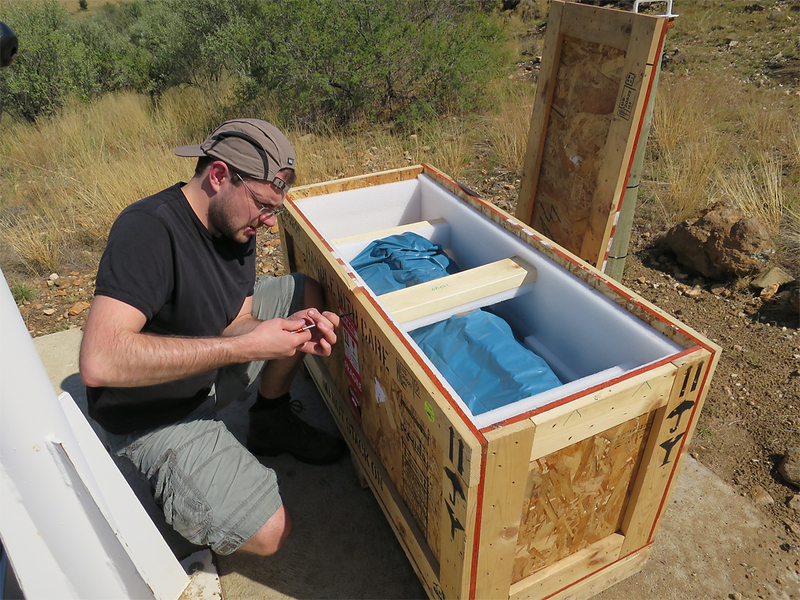 In the fall of 2015 - after returning from Namibia - we began to considered a new telescope with larger aperture and longer focal length for our chameleon Observatory. 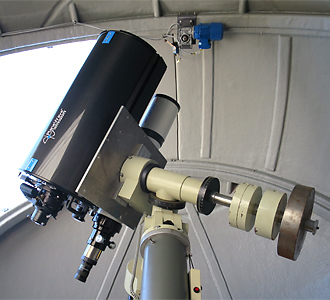 Based on our excellent experience with the 17" PlaneWave astrograph at Rooisand Desert Ranch (simple and stable adjustment and even at full frame a very good image quality) our choice also fell on a Plane Wave. 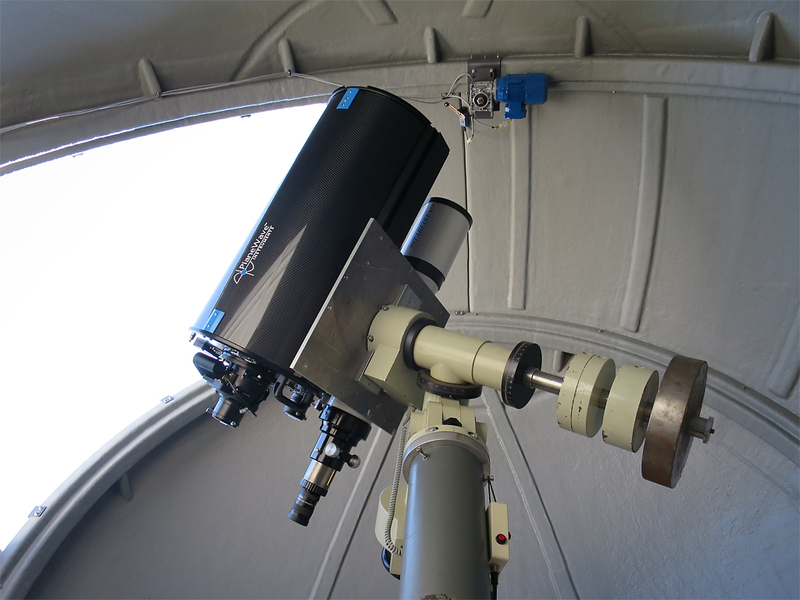 For reasons of cost and the available space in the 3m dome we choosed the 12.5" instrument with a primary focal length of 2.540mm and a focal ratio of f/8. Further advantages for our site is the closed carbon tube that protects the mirror against dust and sand much more efficiatly as an open truss tube. 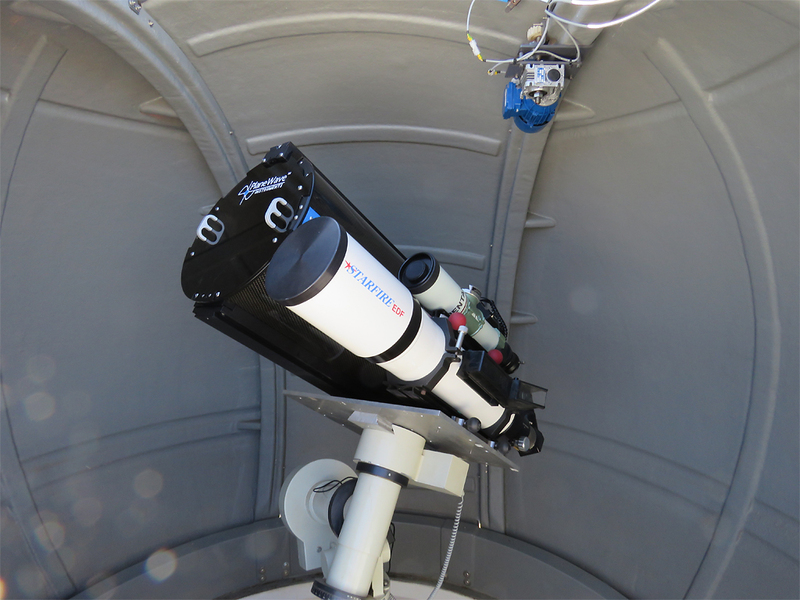 The telescope has a large back focus with just 190 mm, so that various accessories can be connected. For example a large offaxis-guider and a focal reducer along with a full-frame DSLR camera. 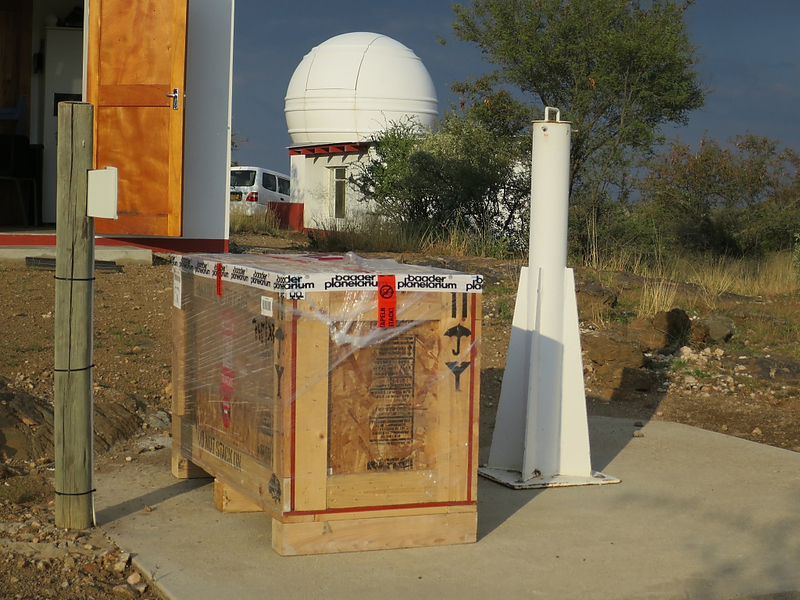 And with "only" 21kg weight of the telescope there is no problem with the 6ADN Mount from Eckard Alt. The instrument was tested in Germany in the dome of Paech. 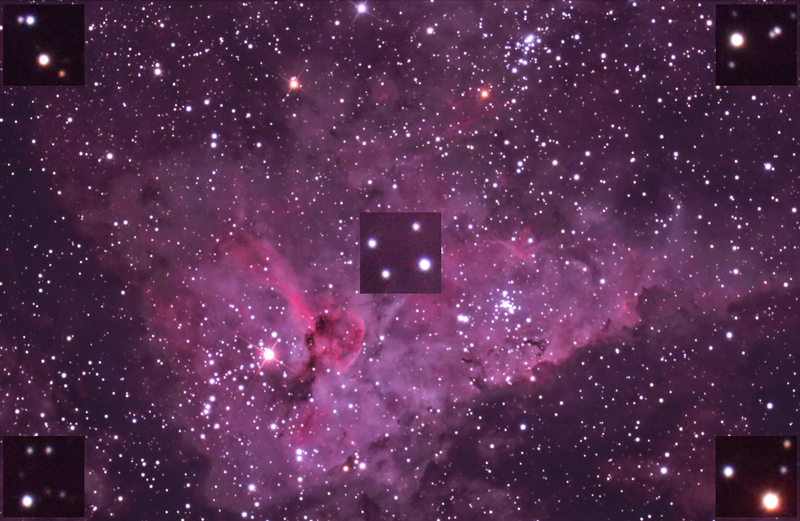 The images above show the PlaneWave on a Astrophysics GTO 1200 Mount. 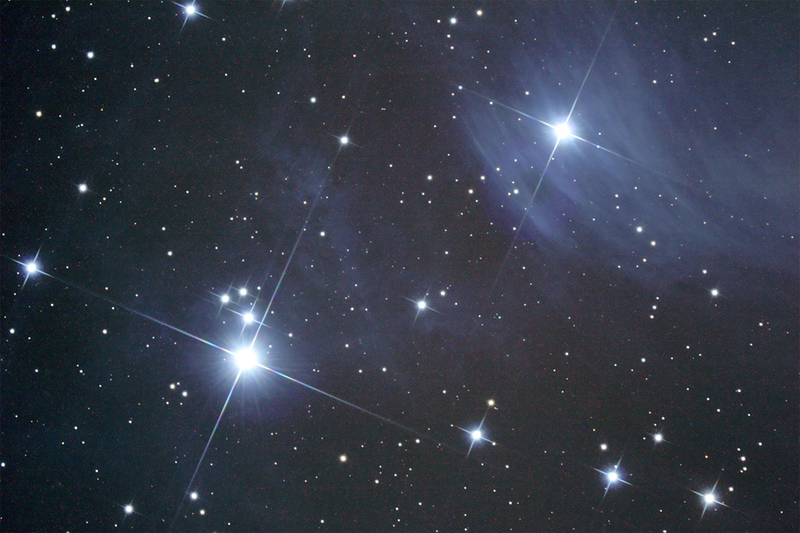 To the left is a test image of the Pleiades (1 x 10 min), taken with a Canon EOS 60D APS-C. All images on this page can be enlarged by clicking on it.. 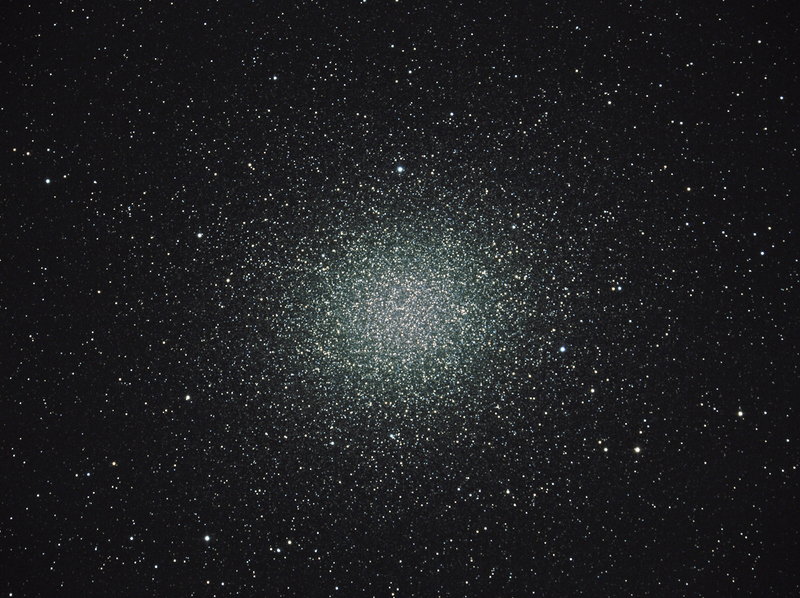 Available are two focal reducer, both showing a very good image quality in the far corners of the full frame. Since the PlaneWave already has a correction system and a planar field, there are basically only two possible reducers within our reach (nearly all currently reducers on the market are build for refractors and correct the curvature of the refractors, when used on the PlaneWave they would distort the plane field into a curved one). The animation below shows the focal reducing of both reducers compared to the full focal length. 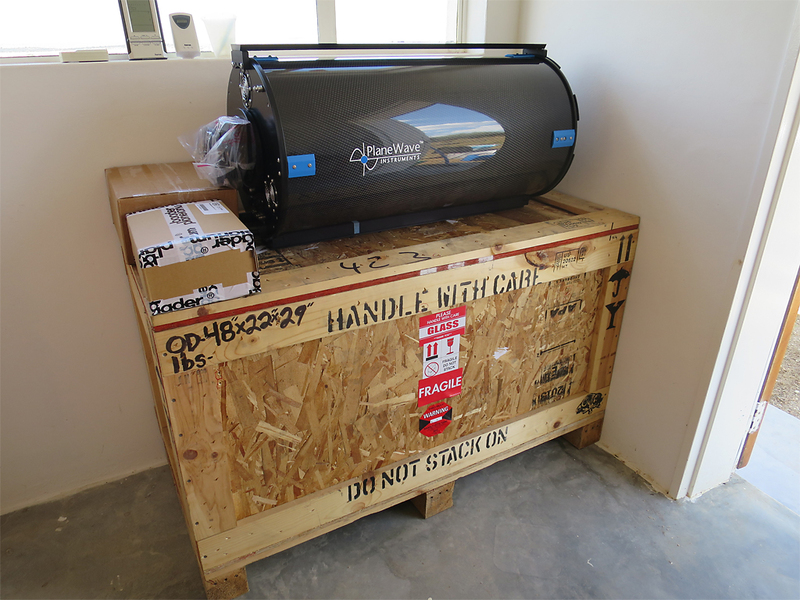 The telescope was ordered at Baader Planetarium in February 2016 and shipped by airfreight to friends in Windhoek who also took care about the customs import. 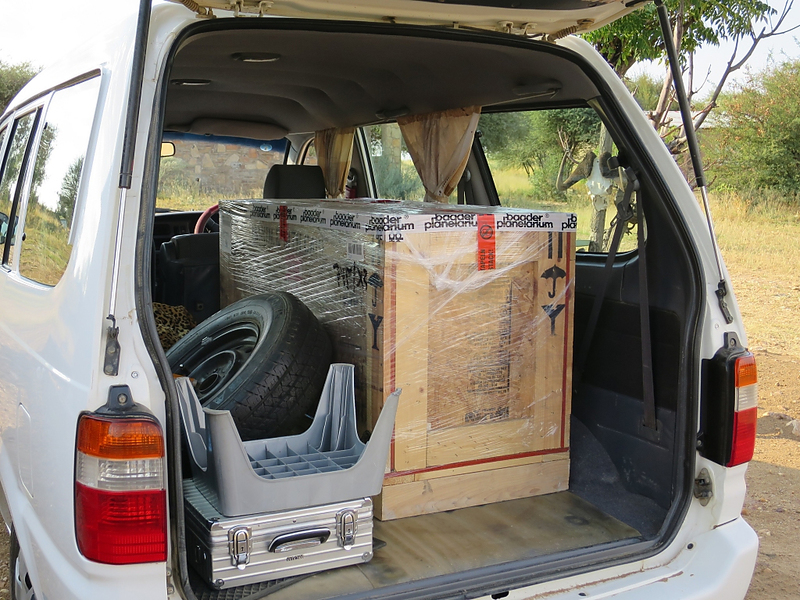 In mid-April we transported the telescope to Onjala, unpacked and assembled it. In addition to very poor weather conditions at the end of April in Namibia we had further problems. 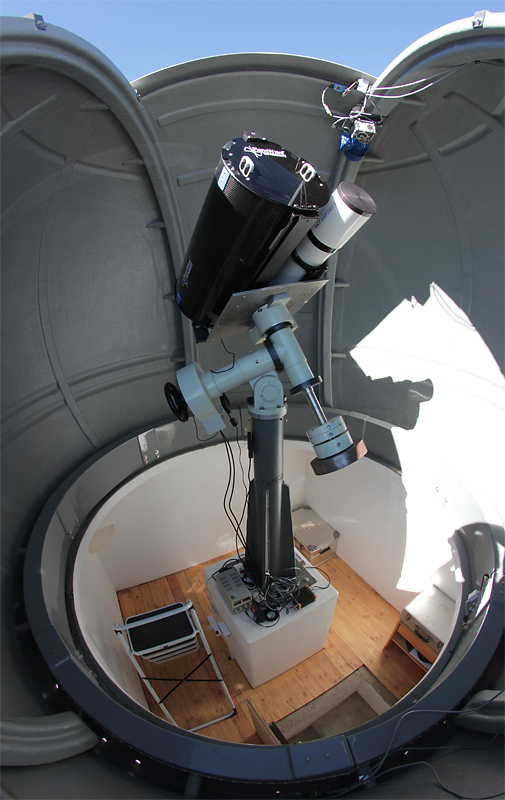 After our arrival, we unfortunately had to see that all the electronics was more or less defect in the 3m dome. Dome control, telescope control and light control were completely "dead" and not repairable on site. We suppose a lightning strike near the dome. The dome gap we could manually open and close. But the FS 2 mount control was not usable. While we have a Little Foot control as a replacement and got the RA motor in operation, but a decent Guiding was not possible. 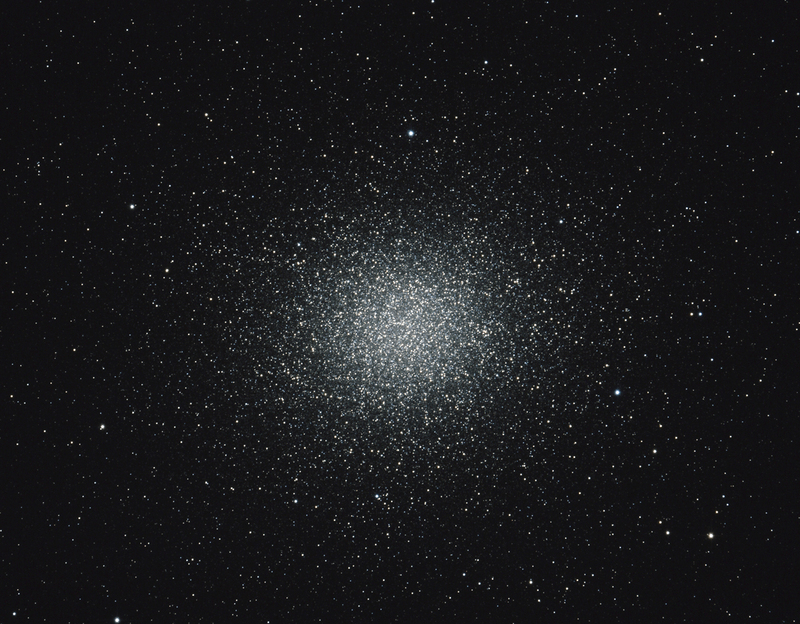 But the main problem was the often cloudy skies in the evening and in the few clear hours we had a terrible seeing. 75mm Pentax refractor with 500mm focal length. In addition a larger telephoto lens can also be mounted. 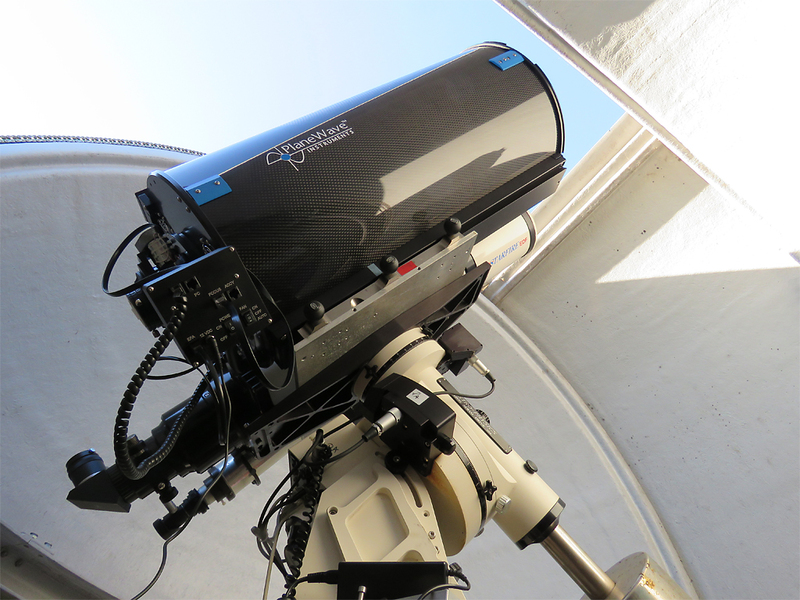 The former fixed mounted Celestron 11 with the f/2 HyperStar system is now being used on our CGEM-DX mount. Due to the above-mentioned technical and weather conditions we were unable to do some long exposed and tracked images. After all we could take some short exposed images after the adjustment of the PlaneWave to check the image quality - even when seeing conditions were not optimal. 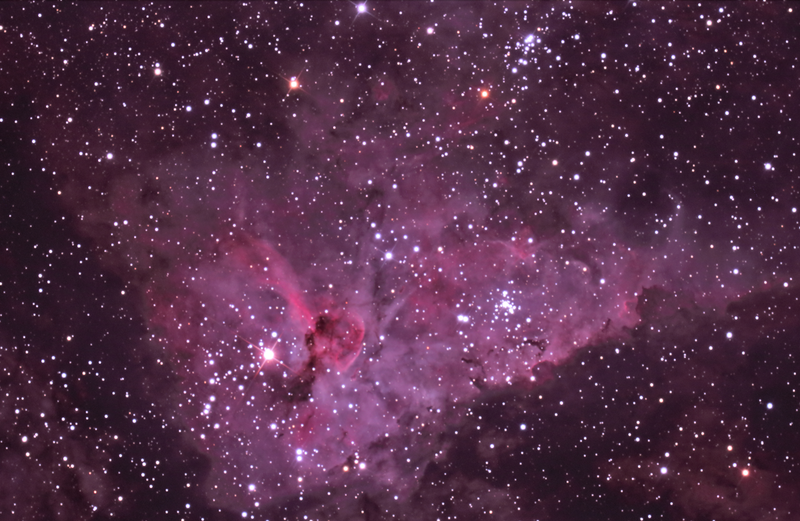 « « Core of Eta Carinae, 10 x 30 seconds taken at f / 5.8 with the Pentax-reducer at 1.830 mm focal length and a cooled EOS 700 DA (APS-C format). Taken at poor seeing conditions. We look forward to our next stay in Namibia!